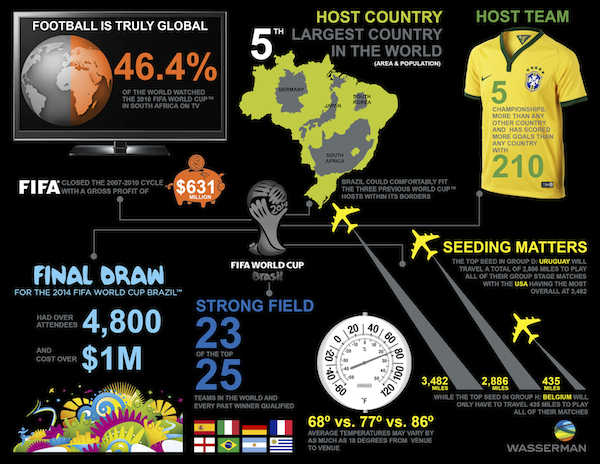 Is Big Data Improving Or Drowning The World Cup? Stats can be addictive, but numbers aren’t everything. Twenty-two people take to the pitch, shepherded by three others, and take turns caressing or walloping a ball around, depending on whether you’re watching Holland or Hartlepool. For a lifelong fan of football like me, watching the game at this, its simplest level, is engaging enough. Of course, I still feel the urge to ‘break it down’, isolating events such as goals, corners, tackles, and bookings so that my mates and I can engage in raucous debate and amateur analysis. And with the advent of big data, dissecting the game can involve smashing it into very, very tiny parts, iterations of movements invisible to the supporter’s eye. The statisticians have arrived, and they’re only getting nerdier. Statistics in football is nothing new, as Charles Reep showed in the 1960s with his flawed analysis on how best to achieve a goal, claiming that only one or two passes led to the greatest number of goal opportunities. He ruined English football for decades. But the last five years have seen exponential growth in two related industries that have brought finesse and exactitude to the study of the sport. The first is the use of stats for the clubs or national teams, which involves an army of number-crunchers who look for signs in the data that a player is worth signing or dispensing with, how best to target an opposition, and how to focus training to maximise the potential of winning. Clubs like Liverpool, who have sought to emulate Bill James’ statistical approach to baseball – made famous by Billy Beane and chronicled in Moneyball – look to find what is undervalued in players, and so to exploit the transfer market. Alongside this, and often using similar data, are the betting companies, who offer increasingly complex market opportunities to gamblers, both in emerging leagues or with the use of in-play. An understanding of the metrics of the sport is crucial to this, as is an in-depth knowledge of whichever leagues have odds offered on them. This World Cup is the first international tournament where such approaches have crossed over into mainstream media discourse. Nate Silver, the geek’s geek, has been running a massive simulation to predict the outcome of games and where odds are long or short, writing it all up on his FiveThirtyEight blog – and possibly making quite a bit of money. Goldman Sachs have produced a similar prediction model, which is hopefully less volatile for the rest if the world than derivatives trading. The Guardian and The Daily Mail have both offered remarkably detailed statistical material online, replete with engaging infographics, as have some US papers. Social media has offered fans the chance to interact with statisticians and analysts across platforms, many of whom are writing and running data from home and for fun. But has this really improved our understanding of the game? While is it unarguable that data are proliferating in mainstream media like never before, the saturation of statistics cannot tell us everything about the game. We risk drowning in numbers. Yes, it can be helpful for betting and yes, you can impress your friends with pass percentiles and shots on goal metrics. But, while stats don’t lie, the interpretation of stats can be pretty muddy. We often read into them what we want to and some stats need a lot of finesse to read in a way that is actually relevant. You can also rely too much on statistics to the effacement of just enjoying what’s happening in front of you. The best football is experienced viscerally: a flood of emotion, seen with the eye and felt in the heart. 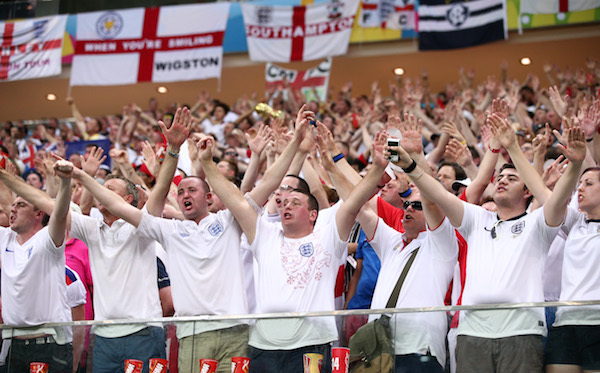 While data can enhance our understanding, there is no substitute for just watching a match.